The Askernish Golf Club, also known as the Old Tom Morris golf course is a perfect blend of history and natural beauty offering a unique golfing experience. Old Tom Morris, one of the founders of professional golf who designed some of the finest golf courses in the world also created the 18-hole Askernish golf course in 1891. Over the following decades, however, the Old Tom Morris golf course fell into disrepair and was slowly reclaimed by the nature. 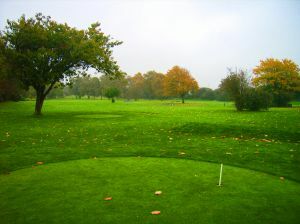 The game continued to be enjoyed on the site but the 18 holes gradually reduced to 12 and then to 9 holes with 18 tees. In 2008, the Old Tom Morris golf course was brought back to life thanks to Gordon Irvine. The golf consultant who visited South Uist a few years earlier heard the story about the course’s association with Old Tom Morris and decided to help the Askernish Golf Club to restore the lost Morris’ course. He contracted golf course architect Martin Ebert who helped him look for the Old Tom Morris’ original 18 holes. And if that wouldn’t be difficult enough, the project soon faced an opposition of the locals. 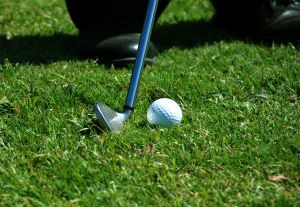 Despite the all challenges, however, the Old Tom Morris golf course was restored and opened to golfers in August 2008. The Isle of South Uist, located south of Benbecula and north of Barra is renowned for its breathtaking natural beauty and friendly community which jealously preserves its traditions. The island attracts thousands of visitors who want to experience its unrivalled natural and historic heritage but it also attracts a growing number of golfers who are eager to enjoy the game at the “holy grail” of golf. The Isle of South Uist offers highly diverse accommodation options which can meet a wide range of visitors. There are many hotels, self-catering holiday homes and bed and breakfasts, most of which offer an easy access to the Old Tom Morris golf course. However, keep in mind that South Uist is a very popular tourist destination, especially during the summer months. You are therefore recommended to book a room several days before your planned visit to South Uist and its spectacular Askernish Golf Club. The easiest way to reach South Uist is to fly to the island from Glasgow. The Isle, however, can also be reached by a ferry from Oban and Uig on Skye.